I’m all about making weeknight meals easier and this dish does just that! 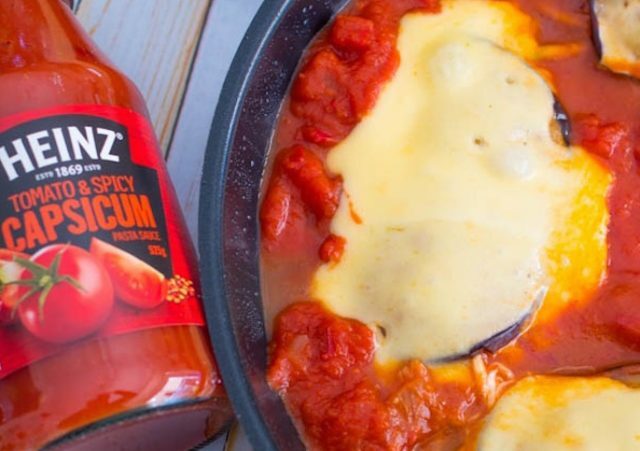 My special veal parmigiana is set to become a family favourite and is all about cheating where you can to make an amazing family meal. I don’t know about you, but the rules for weeknight dinners around here are: quick, tasty and kid-friendly. So, to satisfy all those criteria I use a sneaky sauce here and there. 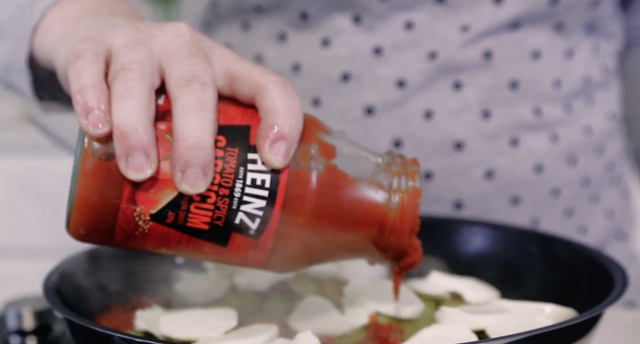 In this recipe I’ve used Heinz Spicy Capsicum and Tomato Pasta Sauce- because it adds so much flavour to this dish. Meals like this that are “all in one” are perfect for minimising clean-up. The great news is that it also contains quite a few veggies, so we are cramming in the good stuff. But that doesn’t mean not serving it with veggies too- in fact that helps the kids to eat the ones you’ve hidden. The veal also remains super tender thanks to the grated zucchini and the sauce and doesn’t dry out. Make sure before you start cooking that you have chosen a pan with a lid as it is essential to making the cheese melt so it’s nice and oozy! And make sure you have some crusty bread handy for the extra sauce. Don’t just take my word for it, you really need to try this immediately, you will be amazed at how good it tastes. This article is sponsored by Heinz but all thoughts and opinions including recipe ideas and meal suggestions are the authors’ own. Fry the eggplant slices until soft and golden in the olive oil. Fry the veal steaks until golden brown on one side. Remove from the pan. Pour half the sauce into the pan and place the veal steaks on top of it. Layer the basil leaves and zucchini ribbons on top of each steak, then the eggplant. Top with the sliced bocconcini. Pour the rest of the sauce around the veal steaks and put a lid on the frypan. Serve when the bocconcini is melted & plate it with your family's favourite veggies.